A transformational journey through Italy, India, and Bali searching for pleasure and devotion—the massive bestseller from the author of Big Magic, on sale now! Look out for Elizabeth Gilbert’s new book, Big Magic: Creative Living Beyond Fear, on sale now! 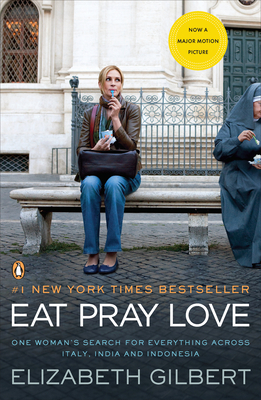 Gilbert is the #1 New York Times bestselling author ofEat Pray Love and several other internationally bestselling books of fiction and nonfiction. She began her career writing for Harper's Bazaar, Spin, The New York Times Magazine and GQ, and was a three-time finalist for the National Magazine Award. Her story collection Pilgrims was a finalist for the PEN/Hemingway award;The Last American Man was a finalist for both the National Book Award and the National Book Critics Circle Award. The follow-up memoir Committed became an instant #1 New York Times bestseller. Her latest novel, The Signature of All Things, was named a Best Book of 2013 by The New York Times, O Magazine, The Washington Post, The Chicago Tribune, and The New Yorker. Gilbert’s short fiction has appeared in Esquire, Story, One Story, and the Paris Review.